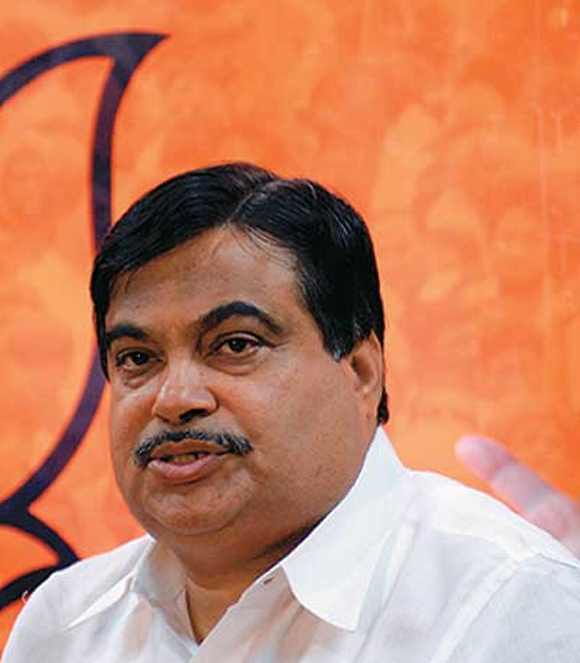 Union Minister of Road Transport, Highways and Shipping Nitin Gadkari has a favourite quote: 'American roads are not good because America is rich, but America is rich because America has good roads.' He has taken this to heart and is pushing to develop a strong network of roads across the country. You have taken a number of steps to improve road connectivity. A very important step that we have taken is to build cement concrete roads in place of traditional bitumen roads. Cement roads are cost-effective and require less maintenance. I give a guarantee that these roads will last 300 years. Cement companies are offering factory price rate of Rs 120 per 50 kg bag which will go up to an average cost of Rs 180 to Rs 190 per bag against the current market price of Rs 300. When I became minister, the price of a cement bag was over Rs 300, but I have helped to bring down the price considerably, by less than half. Thirty-seven cement manufacturers are committed to supplying 95 lakh (9.5 million) tonnes through their 104 plants pan India at prices up to Rs 180 a bag against a market price of over Rs 300 a bag. 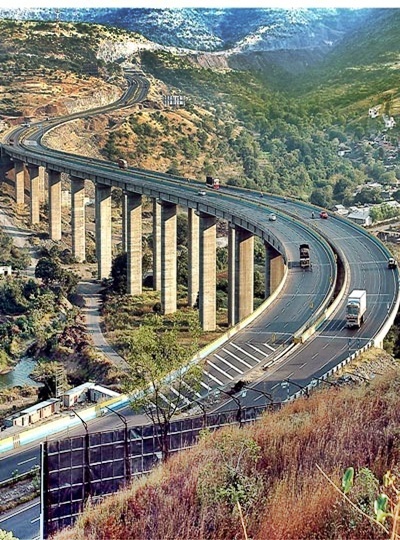 This has given a big boost to road building and will result in huge savings of crores of rupees. We are also taking lessons from Australia which has done a lot of work on the use of waste slag and has built several road stretches using waste slag (a byproduct of oil refining and steel manufacture) which will be even cheaper and more durable. Not only will waste slag bring down building costs considerably, but it will also help in clearing up mountains of waste that have collected in several pockets of the country. To give one example, the slag collected at Alibaug can be used to build the proposed Mumbai-Goa highway. I have asked officials from my ministry to submit a detailed project report on this. What I say, I achieve. Another area that I am working on is early completion of the state-of-the-art Srinagar road tunnel which will be part of the 268 km-long four-lane project. The tunnel will be internally connected by 29 cross passages and there will be special ventilation ducts blowing oxygen into the tunnel. We have a budgetary allocation of Rs 3 lakh crore (Rs 3 trillion) and one per cent of this will be spent on beautification along roads and greening highways which will include plantation, transplantation, beautification and maintenance. What about the Sagarmala project to improve existing ports? The government's ambitious Sagarmala project aims to develop port infrastructure along the country's 7,500 km coastline. The project includes modernisation of our ports and islands, setting up of coastal economic zones, new major ports and fish harbours. We expect that the total investment in the project will be around Rs 70,000 crore (Rs 700 billion). We plan to mechanise 17 of our main ports on a mission basis. All this infrastructure projects will create 50 lakh (5 million) jobs. If today we are building 14 km of road per day, by next March, we hope to take it up to 30 km. My own hope -- though this is unofficial -- is that if we build up our capacity, we can take it to 100 km per day. You have taken many other initiatives in different fields. The Cochin Shipyard is building a craft that can travel on both water and land. It has been designed by Australians with inputs from the Koreans. It will revolutionise travel on the water and one can use it to commute between Delhi and Agra over the river Yamuna. I recently bought a bus that can run on both water and land. It will be brought to India in the next two months. I plan to introduce two electric buses for the next session of Parliament. By harnessing technology, I believe we can move forward. During the earlier government, no file in the ministry of environment and forests moved for two-and-a-half years. Now we are moving at a very rapid rate. You talk about expanding infrastructure, but what about the land acquisition for these projects? Earlier, compensation was less, but we have increased compensation four fold. As a result, farmers want to give up their land. They are getting good compensation. Farmers are agitating that they do not want to give up their land. People living in Delhi are not aware of the ground realities. I am a farmer. I come from a village. I understand the problems of farmers. The price of everything has gone up, but not the price of wheat and rice. We have a wheat surplus, a rice surplus, a sugar surplus. The price of rice and wheat crops is Rs 16, Rs 17 per kilo but the price of urea has shot up to Rs 1,600. Farmers are unhappy because they are not getting a good price. Farmers are in a bad state. I have received 70 deputations of farmers who want to give up their land. The reason for this is that we have increased compensation four times for farmers so people are coming forward to sell their land. Please understand this. I have held a Janata Durbar in my constituency and have helped provide employment for over 5,000 people. I have already given Rs 5,500 crore (Rs 55 billion) on land acquisition. I also believe crop patterns must change and there must be diversification of agriculture to growing bio-fuels. You visited Iran recently to discuss development of the Chabahar port. I went to Iran recently and signed an agreement. At that time I came to know that in 2013, Iran had offered us gas at 82 cents per mmBtu, but now the price has gone up. India is presently importing 80 lakh (8 million) tonnes urea from China. But we have got offers to buy gas from four other countries. In India, if we can get cheap gas, then the 47,000 MW gas projects that are closed will start working. India is ready to invest Rs two lakh crore (Rs 2 trillion) in the Chabahar SEZ (Special Economic Zone) in Iran, but the investments will depend on gas prices as we want these prices to be lowered. A lot of discussions on this have taken place. Different Indian companies ranging from roads and railways are ready to invest in Iran, but our investments will depend on the gas prices offered to us. Different ministries have given their reports to the shipping secretary and the prime minister will take a decision on this. What needs to be remembered is that we presently import around 8 to 9 million tonnes of urea. But if we can agree for a price of $1.5 per mmBtu, then our urea subsidy amounting to Rs 80,000 crore (Rs 800 billion) will also come down substantially. Your government had claimed to bring down prices, but that is not the case. Prices of many commodities have come down. We are presently exporting wheat and rice. Regarding onions, I had set up a committee to see how the life of onions could be increased by six months. I agree that the price of pulses has gone up, but we are expanding the area of pulse production four times so that by next January-February production will increase. Then we will be exporting rather than importing pulses. I maintain farmers have to do intelligent planning in all fields of agriculture. Growing biofuels can help enhance income. What steps are you taking to increase water conservation? This is the growing need of the country because we conserve only 15 per cent of our water whereas 70 per cent runs off. Up to three metres of silt has accumulated in our rivers. These rivers have to be dredged. But when we do this, it is opposed by the NGOs. What are you doing to improve road safety given that we have the largest number of accidents in the world? Despite my best efforts, we have not been able to present the bill (the Road Transport and Safety Bill 2015) in Parliament despite having had three sessions of Parliament. The problem is that this is on the Concurrent list and there are many vested interests who are opposed to transparency and computerisation. The problem is that 30 per cent of (driving) licenses in India are fake. You are also keen to improve connectivity with neighbouring countries. The government has been working to improve connectivity with neighbouring nations. We have signed pacts with Bangladesh, Bhutan and Nepal for the flow of traffic. We have floated a tender to build a port in Bangladesh. We have given a proposal to build a port in Sri Lanka and are working to provide connectivity with Sri Lanka.